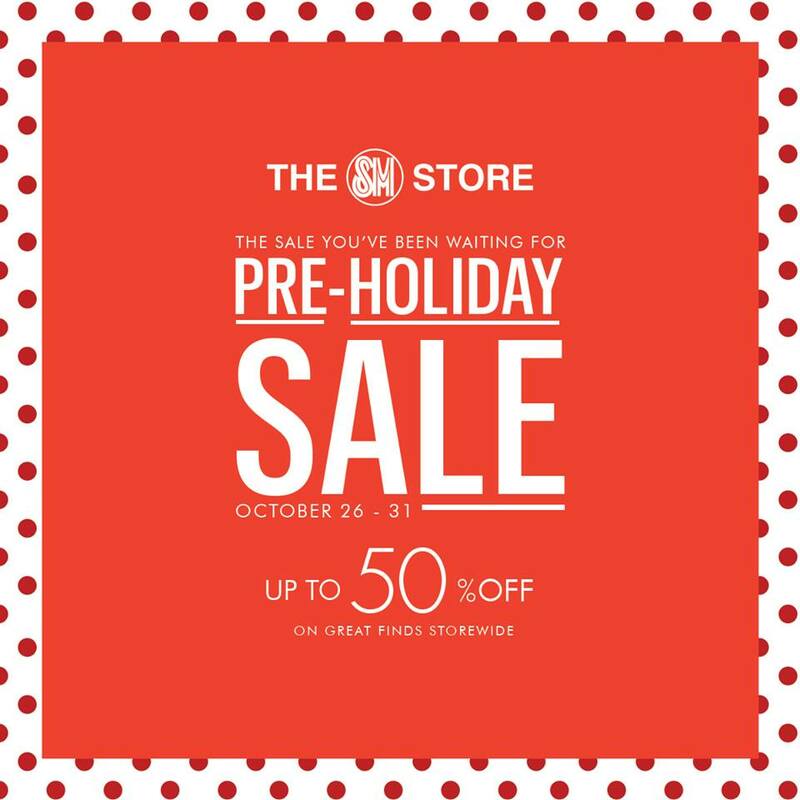 Beat the Holiday rush and shop during SM Stores' Pre-Holiday SALE on October 26 to 31, 2017. 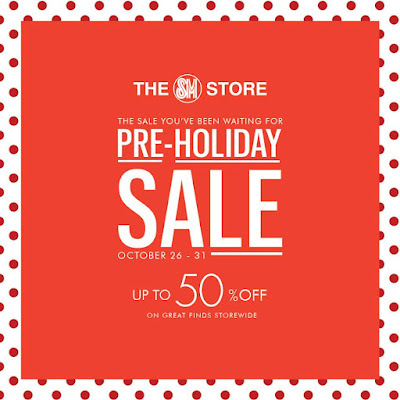 Get up to 50% OFF on great finds in all SM Store branches nationwide! SM Prestige members get first dibs on October 26, 2017 (one day only!) and get extra 10% OFF on almost all items. *Standard discount exclusions apply. Plus, enjoy BDO Rebates from October 26 to 31, 2017 - Get a 5% rebate when you use your BDO Credit Card transactions with a minimum purchase of P10,000. BDO Debit Card transactions get a 3% rebate with a minimum P3,000 spend.